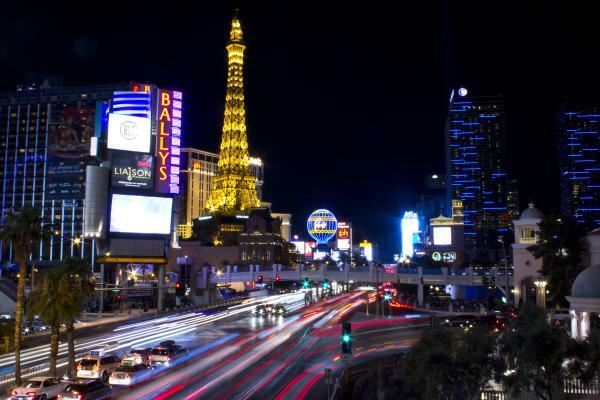 Las Vegas is the most populous city in the state of Nevada, the seat of Clark County, and an internationally renowned major resort city for the gaming industry, shopping, and entertainment. Las Vegas, billed as The Entertainment Capital of the World, is famous for the number of large casino resorts and their associated entertainment. The city’s tolerance for various forms of adult entertainment earned it the title of Sin City, and this image has made Las Vegas a popular setting for films and television programs. Outdoor lighting displays are everywhere on the Las Vegas Strip and are seen elsewhere in the city as well; as seen from space, Las Vegas is the brightest city on earth.